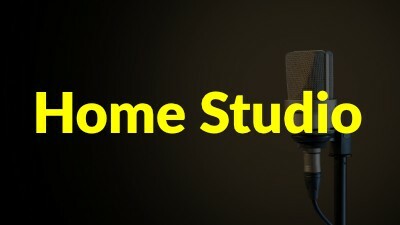 Home Studio Advice for Voiceover. The Voiceover Kickstart programme covers a very wide variety of key skills for the modern-day Voiceover Artist. Voiceover Kickstart One is the free Voiceover Training programme which has helped many hundreds of Voiceover Artists, at various stages of their career, focus and move to the next level of skill, income and success. Have you completed the programme? The 4-week free programme is concise and easy to manage each day. In just 15 mins a day you can fit it in with your daily schedule. It is fully online, access from your desktop, laptop, tablet or even your mobile phone. Each day, over the 4 weeks you will have access to new material and be encouraged to do further research and activities. The programme is not just for beginners and there have been many highly experienced VOs who have taken part and praised the quality and content of the programme and its delivery. What happens after the 4 weeks is up? After the programme there is opportunity to become a Voiceover Kickstart member. Membership gives full access to the range of programmes, modules, interviews on many voiceover topics all geared towards you and your voiceover career. In THE LOUNGE (the thriving community and heart of VOkickstart), you’ll have the opportunity to take part in weekly voiceover challenges and submit recordings to improve your home studio quality. Every day we are discussing topics from pay2play, audiobooks, microphone technique, finding voiceover work, rates for voiceover jobs and more. The community goes a long way to help with the isolation often experienced by the voiceover artist. Does Voiceover Kickstart run other courses? Other inclusive (and upcoming) programmes include Branding for Voiceovers, Connecting with Clients, Primer (a beginners guide to setting, giving plenty of essential home studio advice for voiceover). There’s also Talk to the Talent (an extremely useful and inspiring series of interviews with VOs at the top of their game), Producers’ Perspective and Vocal Care – a 10-part programme designed specifically for voiceover artists to keep the voice in tip-top condition! There are numerous other programmes in development as well as the sequel programme Voiceover Kickstart II. This is a second 4-week programme that goes deeper and further on aspects first covered in the original free programme. Limited to 30 participants it runs a handful of times per year. Members can access this programme at a 50% discount.